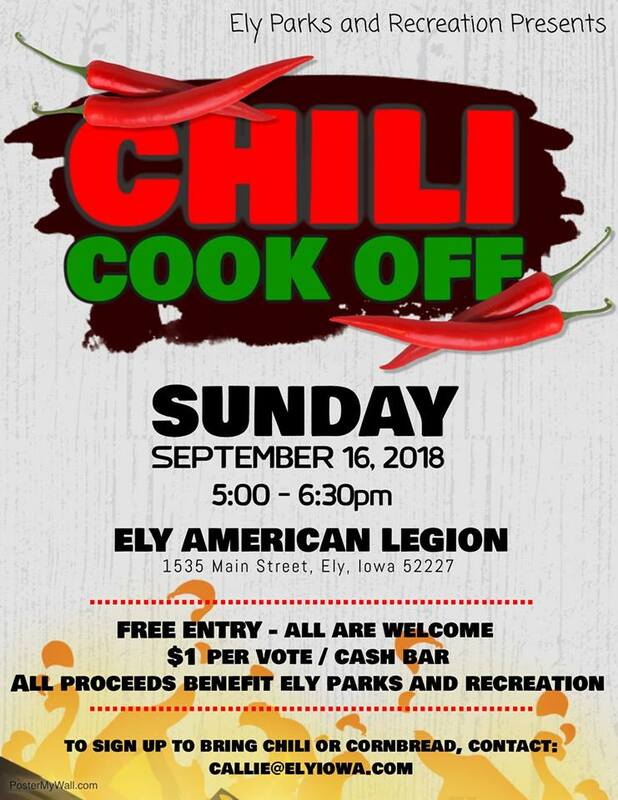 Ely Parks and Recreation is hosting the 2nd Annual Prelude to Fall Fest Chili Dinner/Cook Off on Sunday September 16th! This event is FREE and open to the public! Come enjoy a bowl of chili and some delicious cornbread at the Ely American Legion from 5:00 – 6:30pm. Don’t forget to vote for your favorite chili! Vote by placing $1.00 in the contestants tin – you can vote as much as you’d like and for as many different batches of chili as you want! All proceeds from votes will directly benefit Ely Fall Fest and Ely Parks and Recreation. 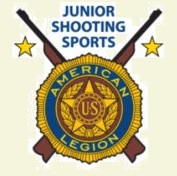 The Legion will also be running a cash bar – soda, beer, liquor etc. If you are interested in participating in the Chili Cook Off, please contact Callie at callie@elyiowa.com. The contestant with the most amount of votes at the end of the dinner will win a trophy and Fall Fest t-shirt! We are also looking for individuals who are interested in bringing their favorite cornbread dishes, shredded cheese, sour cream or crackers!